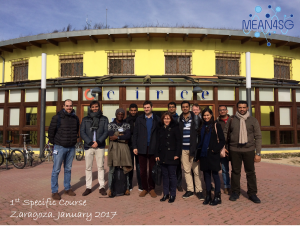 The project partners gathered last week in Zaragoza (Spain) to attend one of the first main meetings of MEAN4SG. CIRCE, project coordinator, hosted at his facilities a 3-day event that covered the first Training Committee meeting and the first Specific Course. The PhD students that have recently joined the project also traveled to Zaragoza to attend these lessons and get to know their future supervisors and colleagues. 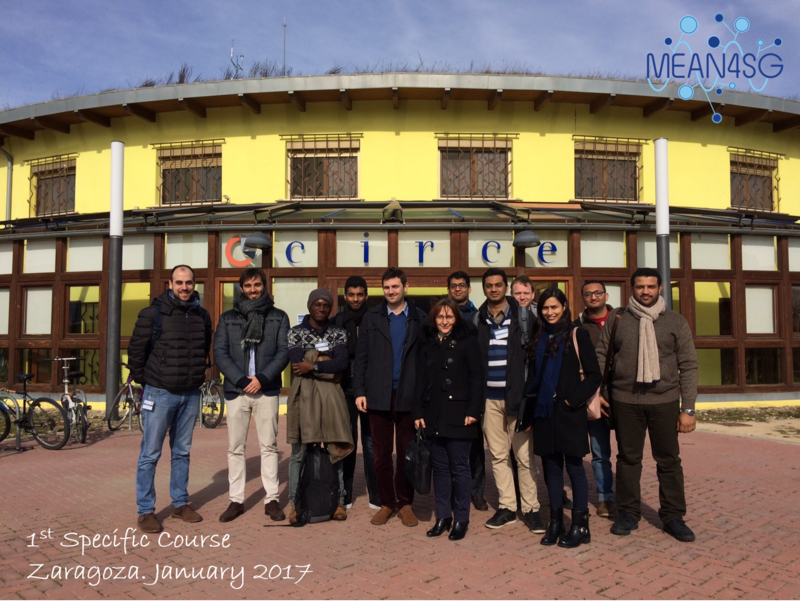 The first specific course or introductory course, that comprised more than 15 training hours, aimed to make a first approach to the main challenges of metrology for Smart Grids, while presenting the MEAN4SG network objectives, structure and procedures. In addition, the course also focused in horizontal aspects surrounding the elaboration of a PhD that will help the researchers in their daily work, such as how to write scientific documents, essays and papers, which are the most appropriate tools to carry out that task, or what are the best research engines for scientific information. All the lectures were given by consortium members, as experts in the different fields (CIRCE, University of Eindhoven, LNE and FFII). In parallel, the project partners celebrated the 1st Training Committee. Although a general overview of the project was undertaken, the main objective of the meeting was twofold. On the one hand, to review the foreseen training plan for the fellows and make decisions on the upcoming activities, such as the second specific course. On the other hand, the meeting also gave the chance to the researchers to present their background and future research lines to the supervisors, and to their colleagues. All these activities led to a fruitful networking among the MEAN4SG actors.